The case of the haunted hologram! This is a commentary on Revelation chapter 13. 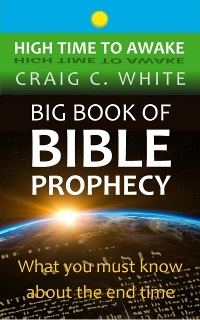 I am explaining the entire chapter mostly just to tell you about the image of the beast described in Revelation 13:15. In this case the beast isn’t a scary animal; instead it is the next World Empire. The image is literally some sort of picture or statue that represents the next World Empire or perhaps looks like its leader. The world may have already had its first glimpse of the beast’s image. You may not agree with everything that I have to say; nevertheless I think you will find this enlightening. Allow me to state that I am not certain that I have all of the facts yet, but I do have a lot of them. OK now let’s all make certain that our socks are on tightly! The Apostle John is writing this around 94 AD. 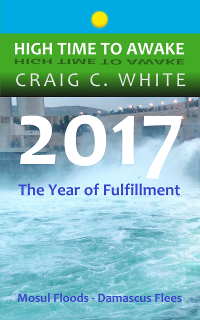 He is having a vision about conditions on earth during the time of the seven year Tribulation period. 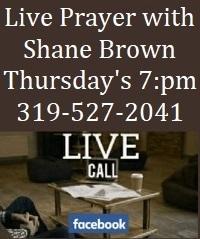 It is a time of trouble for Israel and a time of God’s judgment against the nations of the world. A final man-ruled World Empire has formed on earth. John sees a beast rise up out of the sea. The sea represents the nations of the world. 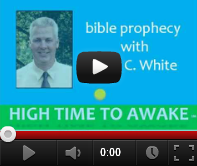 In bible prophecy a beast represents a gentile body of government. Gentile simply means the nations. A gentile government is ruled by men and not by God. A beast could represent a nation, or union of nations, or in this case an empire. As we will see latter a beast can also represent the governmental body of a world religion. A beast is a large governmental body. When that government is ruled by one man; a beast can also refer to that certain man. The Apostle John sees a beast with seven heads. Many bible scholars agree that these seven heads represent the seven world empires that have formed on earth throughout its history. These world empires are in order; the Egyptian, Assyrian, Babylonian, Mede-Persian, Grecian, Roman, and the Ottoman Turkish Empire. Now there is a lot of debate about the last one. 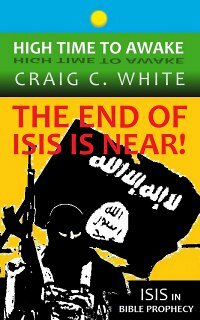 Most scholars say that the last head represents the final world empire still yet to come. Almost everybody says that the final head represents a revived Roman Empire in the future. I have said that myself, but always with reservation. I think that the seventh head could possibly represent the Ottoman Turkish Empire. It could in fact also represent a revived Ottoman Turkish Empire of the future. Suffice it to say that the seventh head most certainly represents an end time (Tribulation period) World Empire. Rev 13:1b having seven heads and ten horns, and upon his horns ten crowns, and upon his heads the name of blasphemy. 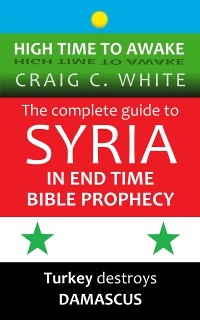 Horns commonly represent kings in bible prophecy. The ten horns are ten kings that rule over the final World Empire. This is explained in Daniel 7:24 and Revelation 17:12. Every World Empire or kingdom has been ruled by men in rebellion to God. Before any of these World Empires existed, God scattered men from forming a man ruled World Government at the tower of Babel (Gen 11:1-9). Ever since then men have sought to undo God’s work there. 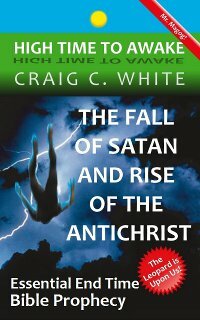 Satan has always been the driving force behind the formation of World Empires. He wants to be worshiped like the most High God (Isa 14:14); and to become king over the nations of the earth. John sees a beast whose body parts are like a leopard and a bear and a lion. Daniel chapter 7 describes the formation of this multi animal beast (or World Empire). For now let me tell you that this strange beast is the in fact the final man-ruled World Empire that rules over the earth during the Tribulation period. It is the same World Empire that is represented by the seventh head in verse 1. This final World Empire is made of four smaller groups of nations or Unions. I think the leopard represents a Central Asian Union, the bear represents a Russian Union, and the lion represents England along with the European Union. These three Unions will unite with a Middle Eastern Union to form the next World Empire. 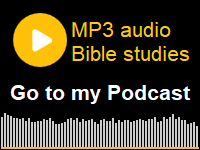 Please read my outstanding commentary on Daniel chapter 7 titled “The Leopard is Upon Us!” in my eBook “The Fall of Satan and Rise of the Antichrist”. Now I want to continue so I can tell you about the image of the beast described in verse 15. There is a lot of debate concerning verse 3 above. Many folks say that the king of the final World Empire will receive a bloody wound (or booboo) in his head. But I don’t think so. Please allow me to remind you that in this example the heads of the beast represent World Empires not kings. Kings are represented by horns. The empire is wounded not the king. I think that John is describing a revived World Empire. This could be a revived Ottoman Turkish Empire or a revived Roman Empire. 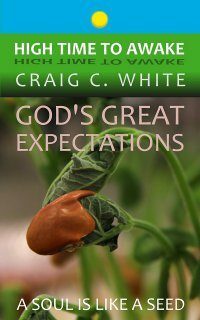 In the verse above, the nations of the world are impressed with the next World Empire. In the verse below, the word worship is a little misleading. The word translated as worship here describes an outward demonstration of homage. It literally describes a dog licking his master’s hand. So the world won’t necessarily reverence the next World Empire, but the world will show subservience to it. I can imagine that a World Empire including Europe, the Middle East, Russia, and Central Asia would be seen as the greatest power amongst the world’s nations. It hasn’t been explained here but the next World Empire will ultimately be ruled by one man (Daniel 7:8). By the way, I think that man is Turkish Prime Minister Erdogan. Satan is behind this World Empire. He will give its ruler the ability to say bad things about God. Perhaps this ruler will give persuasive speeches. He will rule the next World Empire for 42 months. During this three and a half year period he will oppress the nation of Israel (Dan 7:25). 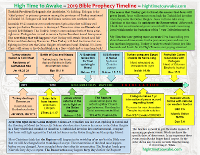 This is known as the Great Tribulation period (Mat 24:21). The ruler of the next World Empire will speak against God, and against his dwelling place, and against everybody who lives with him in heaven. 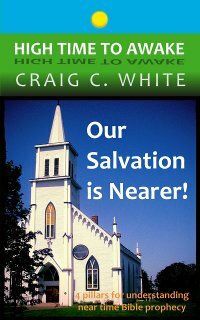 This may be a reference to Church age believers who have just been resurrected and taken into heaven at the Rapture. The whole world will be well aware of this event. Today most world leaders aren’t compelled to insult people in heaven. But then the folks in heaven will be an undeniable sign that God is about to judge the unbelieving world. In verse 7 below the saints refer to the nation of Israel. “To overcome them” means that he will kill the people of Israel. The ruler of the next World Empire will subdue and destroy much of the nation of Israel. The ruler of the next World Empire will have influence and authority over the people groups of the world. This doesn’t necessarily mean that he will rule the entire world. The “nations” in verse 7 above refers to the original families that settled the old world after Noah’s flood. These are the nations around Israel. The next World Empire will cover the same geographic area that every ancient World Empire covered. Read verse 8 carefully. It doesn’t say that every person on earth will worship the ruler of the next World Empire. Instead it says that every non-Christian will worship the ruler of the next World Empire. The word translated as worship is the same word used in verse 4. 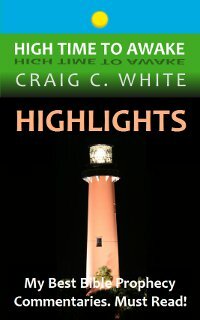 It describes an outward demonstration of homage. Rev 13:9 If any man have an ear, let him hear. 10 He that leadeth into captivity shall go into captivity: he that killeth with the sword must be killed with the sword. Let me explain the verse above. 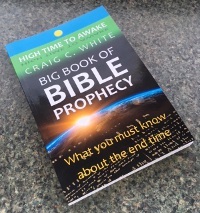 This is a warning to every person and nation that either takes the people of Israel captive or kills any Jewish person during the Great Tribulation period. 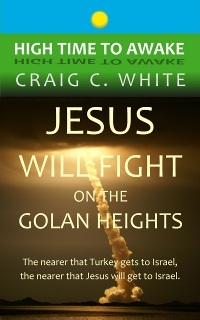 Jesus Christ will return and treat Israel’s enemies in the same way that they have treated the people of Israel. He will kill them and send them to hell. Israel will survive as they remember God’s faithfulness towards them. 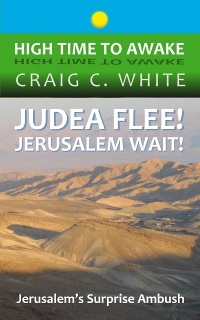 Please read my commentary titled “Jerusalem’s Great Tribulation” in my eBook “Bible Prophecy 2014-2015”. Hey I see different animal! By now you should know what a beast represents. A beast represents a large governmental body. It could be a nation, or union of nations, or an empire. It could also be a world religion. I think that is the case here. You should also know that horns represent kings. So this world religion has two rulers. Jesus Christ is called the Lamb in Revelation 13:8 above. The lamb indicates that this world religion looks like the Christian Church. The dragon indicates that it is empowered by Satan and that it preaches against God. The dragon also represents the seven headed beast referenced in Revelation 13:1. This dragon represents every world empire throughout history. Satan is the power behind every world empire. He wants to subject men and to be worshiped as king of this world. So a false World Religion will arise alongside of the next World Empire. This has been the case during every ancient World Empire. This false religion is less about worshiping God but more about denying God and also about bringing people under subjection to the World Empire. We are still talking about the new animal or false religion. Remember it has two leaders (or horns). This false religion also has authority over the next World Empire. The false religion will cause people to show outward submission to the World Empire. 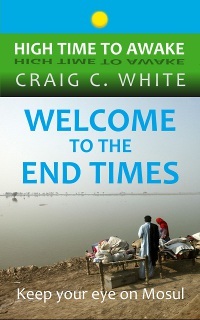 The bible often uses the terminology of “those who dwell on the earth” to refer to unbelievers or unbelieving nations. Revelation 13:12 probably refers to the non-Christian nations around Israel. 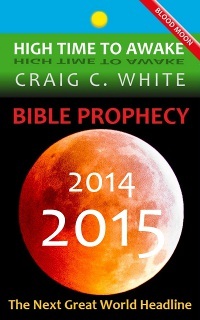 It seems that the two leaders of the false religion will produce miraculous signs to prove their authority. They will make fire come from the sky to the ground in front of witnesses. I think that this refers to some sort of ceremonial action. The two leaders of the false religion will produce this sign during a religious service. Most folks see the false prophet represented in this verse. That seems likely. He may be the main culprit here but I would like to remind you that the false religion has two leaders (Rev 13:11). I am going out on a limb here but I suspect one person who is now on the world scene as the prime candidate for being the false prophet. He is a prominent Muslim cleric named Fethullah Gulen. He wants to rule the world and is challenging Turkish Prime Minister Erdogan for control in Turkey. 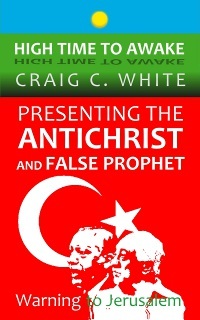 Please read my commentary titled “Revealing the Antichrist & False Prophet”. 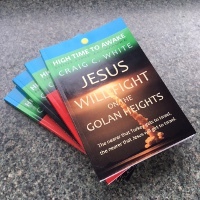 In the verse below the false religion (or false prophet) causes the non-Christian nations around Israel to stray from the truth of the God of Israel. He instructs them to make a likeness of the revived World Empire or perhaps more specifically of its ruler. An image is simply a representation of something, like a picture or statue. In this case it is some sort of idol to be worshiped. Its purpose is for the worship of the World Empire, or of its ruler as God. Here is the definition of the Greek word translated as image in verse 14 from the Strong Hebrew-Greek dictionary. a likeness, that is, (literally) statue, profile, or (figuratively) representation, resemblance: – image. I am going to assume that this image is in the likeness of the ruler of the next world Empire. That would mean that this image is probably a picture or statue of a man. In verse 15 below we are told that this image can speak. So perhaps it would be more accurate to assume that this image is a moving picture or perhaps even something like a moving hologram with broadcasted sound! It seems to me that that would fulfill the parameters of a speaking representation of a man. If only something like that existed today. Guess what it does. Not only does a speaking hologram of a man exist, but a ten foot tall holographic image of Turkish Prime Minister Erdogan was employed recently to give an awe-inspiring speech to a stadium full of his supporters. In case you don’t already know, Turkish Prime Minister Erdogan has ambitions to be the new Sultan of a revived Turkish Ottoman Empire. 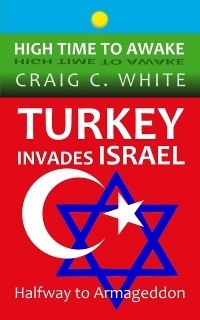 I think that Ezekiel chapter 38 and 39 indicates that a Turkish Prime Minister will lead two multinational invasions into Israel during the end time. Ezekiel chapter 39 describes the same invasion known as the battle of Armageddon. So I think that Turkish Prime Minister Erdogan is the prime suspect to become the ruler of the next World Empire. 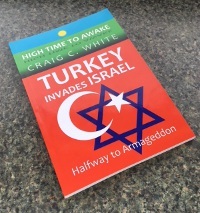 Please read my commentaries titled “Magog Made Easy!” and “Magog Made Easier!” in my eBook “Turkey invades Israel – Halfway to Armageddon”. We are still talking about the false World Religion or the false prophet and their work with the image of the ruler of the next World Empire. Verse 15 indicates that any person who does not bow to this image will be killed on the spot. So if you don’t want to bow I suggest that you at least duck. It’s time for a quiz. What is the mark of the beast? I will give you a clue. A mark is simply some sort of identifying insignia. We are halfway there. Now it’s your turn. What is a beast? I am certain that you remember that a beast represents a large government like a nation or Empire. In this case the mark of the beast is an identifying emblem of the next World Empire. 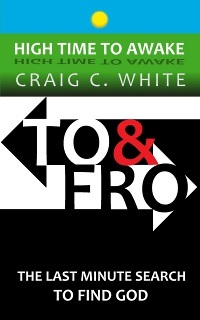 In verse 16 above the Greek word translated “in” should probable rather be translated as “on”. So this mark is probably something that a person wears. I think that the mark of the beast is an inscription worn on the hand or forehead. It could possibly even be an Islamic armband or headband that is already popular with every Islamist group from Libya to Afghanistan. By the way, I think that this mark is imposed upon the folks who live within the next World Empire and not the entire world. Please allow me to suggest that this mark may even primarily be imposed upon the citizens of Israel. Let’s remember that this chapter was given to the Apostle John and largely concerns Israel during their time of Great Tribulation. 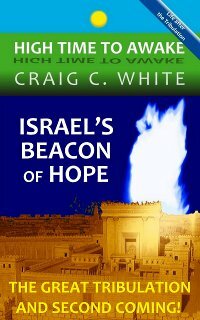 For more about the “mark of the beast” please read my commentary titled “6 6 6 no microchip needed” in my eBook “Israel’s Beacon of Hope”. We studied an entire chapter just so I could tell you about a talking hologram. The image of the beast is just a representation of a man. It is a symbol of the next World Empire or probably more specifically of its ruler. It will speak. It will probably even shoot lasers out of its eyes! Well it might not really shoot lasers. I made up that part on my own. Do the people who dont bow and worship the beast across the world (America, Australia and South America) will die for believing in Christ? 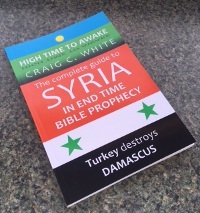 Or is it the people located within the Anti-Christ kingdom that is in Mainly Europe, North Africa and the Middle East will be martyred? This question has been in my brain for a while so please answer. Hi Jay. I think that this should be viewed practically. When Al-Qaeda, or Hamas, or Hezbollah confront a Christian to believe in Allah or die, these terrorist groups kill the Christian. That doesn’t mean that every person on earth is killed. Please notice that people are already being killed for not worshipping Allah. The next world empire will not rule the entire world. Every past world empire covered roughly the same geographic area; between Europe and India. The next world empire will be a revived old world empire. Meaning that we should expect people to be killed for not following the empire especially in the Middle East.